Il Best Western Hopkinsville è situato nel centro di Hopkinsville. L'hotel è vicino alle principali attrazioni turistiche. Approfittate tutto l'anno del miglior prezzo garantito e di offerte esclusive. Mentre soggiorni in questo hotel a servizio completo di Hopkinsville, Kentucky, troverai un'accoglienza imbattibile e comodo accesso a numerose attrazioni locali. Che tu sia in viaggio di affari o di piacere, il Best Western® Hopkinsville saprà soddisfarti e deliziarti. Siamo orgogliosi di offrirti camere pulite e un personale competente e amichevole, il tutto a prezzi convenienti. Ci troviamo in posizione centrale a Hopkinsville, Kentucky, di fronte al Fort Campbell Memorial Park e al parco industriale, nonché a 15 chilometri circa dalla base militare dell'esercito di Fort Campbell. Il Best Western Hopkinsville dispone di 106 camere e suite arredate con gusto, tutte fornite di televisione via cavo/satellite con HBO® e accesso a Internet ad alta velocità. L'hotel offre colazione continentale gratuita con waffle belgi ogni mattina. Gli altri confort includono una piscina all'aperto, una sala cocktail, un business center e strutture per meeting e banchetti in grado di ospitare fino a 75 partecipanti. Gli ospiti troveranno numerosi ristoranti nelle vicinanze dell'hotel, tra cui l'Applebee's, situato accanto alla struttura. A meno di un'ora dall'hotel potrai goderti una giornata tranquilla e all'insegna del divertimento presso i laghi Barkley o Kentucky. Trascorri un pomeriggio camminando lungo il "Trail of Tears", il "percorso delle lacrime", oppure visitando il museo Pennyrile. Altre attrazioni locali includono il complesso sportivo Stadium of Champions e la residenza di Edgar Casey. Gli ospiti in viaggio per affari apprezzeranno la vicinanza al parco industriale, sede di numerose aziende, tra cui il centro di distribuzione Wal-Mart, Sun Chemical, T. Rad North America, Metaisa, Douglas Autotech, Ebonite International, Meritor, Continental Mills,Grupo Antolin, Brazeway, FP International e White Drive Products. Prenota oggi stesso e risparmia al Best Western Hopkinsville! Ti auguriamo un soggiorno gradevole! Everything was great as usual. Clean, friendly, and a good breakfast spread that is complimentary. My 5th time staying over the last 4 year's and was pleased every time. If you are looking for the best deal in Hopkinsville...this is it. This is the first time that I have experienced a complete lack of care for customer complaints. There was a very strong odor of Marijuana in the hallway and exit door. Upon tell the front desk staff she responded by saying "oh well, they are gonna legalize it before too long." When I checked in the staff was not very welcoming or accommodating. When I checked out the lady at the front desk did a great job all the way until she suggested their was no way the overnight front desk lady would not take action on Marijuana being smoked in the building. Our room was clean and nice. The food was appropriate. What I like the least is : I've made my statement, I should not have to write 200 words to submit. This is ridicules and I want you to know that this does not make any sense. Room was clean and nice size for price. Quiet location. Good restaurants in walking distance. Elevator door had issues; heating/cooling fan would not shut off; hot breakfast items were only slightly warm. "Clean room, friendly staff and a good location." We needed a place to stay that was somewhat close Elkton KY and since we were coming down 69 from Indy the location of this hotel was perfect, so we stayed overnight on a Friday into Saturday, the room was clean and the staff was friendly. That morning we needed a few items and since Walmart was right across the street it was all very convenient. "Dirty linens, smelled like wet dog"
Our room smelled like wet dog. Pulled the covers back and found hair all over. The room only had 1 bath towel and we booked the room for 4 people. The decor was nice. Breakfast was ok but not stocked well. Internet worked good. Overall not impressed. Dear Emily, Thank you for voicing your concerns. It is not often that something like this happens and we want to work efficiently in getting these issues resolved. We will be discussing this matter with our team to ensure it doesn't happen again. Nonetheless, we are glad you were able to enjoy our wonderful decor and speedy internet. We know we can provide you with a better experience and hope to have the opportunity to do so. We were in the area to help move a family member, so we stopped here for the night. Nice hotel, large clean room. The breakfast area was orderly and there were a lot of choices. The front desk clerk was great when we checked in, and check out was just dropping the card in a box. All in all, an uneventful stay! Dear Lori, We always enjoy hearing from our guests. It's great to know that our clean, spacious rooms impressed you and that our variety of breakfast options was to your liking. Our friendly staff will also be glad you felt welcome upon arrival. Should you be in the area again, we'd be proud to host you! This is you standard Best Western conveniently located to main highways. Our room had two double beds, refrigerator, microwave, work table, and two club chairs. Plenty of space to navigate without tripping over each other. The bathroom is also spacious with a counter running the length of one wall. Breakfast is your typical fare and includes REAL donut shop donuts in addition to eggs, sausage, waffles, cereal, etc. The property is well maintained both inside and out. Only on quibble, the darn electronic door lock presented a problem refusing to unlock our room and required the manager to reset the electronic key. Dear Nancy, On behalf of the team here at Best Western Hopkinsville, thank you for your visit! We're delighted that you had a comfortable stopover. As you highlighted, our fully appointed rooms contain all the amenities needed for a comfortable stay. We do apologize for that key issue, and we hope that it did not take too much away from your experience. Should your travels bring you back to the area, we would love to share another comfortable and refreshing experience with you. Choose us! "Short stay to see family"
The staff is friendly and rooms are clean. Breakfast is free and have a varity of meal items. They have elevators to get to the floors. Would consider staying again when we come back to visit with family. It is easy to get into and out of the parking area and back on to main road. Dear John, It was an honor hosting you while you were in the area. We're thrilled our clean, cozy rooms, and delicious breakfast impressed you. Our wonderful staff will also be proud you felt welcome while you were here. Thank you for sharing how much you appreciated the elevators and easily accessible parking. We'd be happy to have you stay with us again during your next trip to visit family. "Would have enjoyed it more, if I had not slipped in the tub." The room was large and clean room. Large flat screen tv was very good. However, the radios/clocks were not set to the correct time. The front desk reception area was well staffed and very helpful. I was told, after the fact, that anti-slip mats for the tub/shower were available on request. Watch your step. Dear Harry, We are glad that you found your room spacious, clean and comfortable. Our team thanks you for your kind words about their cordial and attentive customer service. Also, it is great to know you liked the large flat screen tv, but we are sorry that the clocks were not set to the proper time. Additionally, we appreciate your feedback about the tub, and we will use it to help us improve. We do hope that you will come back and stay with us again the next time you visit the area. "Great place to kick back"
Thank you for taking the time to share your kind words after your recent stay at the Best Western Hopkinsville! It brightens our day to hear that you enjoyed excellent service throughout your visit. We hope your accommodations were comfortable and relaxing, and we hope to see you again next time you are in Hopkinsville! We were very happy with this hotel. It was very clean, friendly, the breakfast was exceptionally good and the price was very reasonable. The carpets in the hallway and in the room were very clean. I would recommend this hotel and I would stay here again. Dear Anne, Your experience is one that our team works hard to provide, so we are overjoyed to hear of your pleasant stay. It sounds like our high standards of cleanliness impressed you and that you had the chance to enjoy our delicious breakfast. Come back and see us again soon for another five-star visit! This hotel had great accommodations. It was clean and the sleep quality was good. It was accessible to a major freeway. The hotel owner was very helpful in answering questions and would guide you throughout your stay. The staff were very helpful in assisting you with your needs and made you feel welcome. Overall, I enjoyed my stay and would highly recommend the hotel to others. We appreciate you dropping by during your visit to Hopkinsville! It is fantastic to see that our clean and comfy accommodations added to your comfort and our team was honored to assist in any way possible to make sure that your needs were met. Your recommendation of Best Western Hopkinsville is truly rewarding, and we hope you'll come back soon for another enjoyable stay! Stayed here one night on two separate occasions in January 2019. Staff was friendly. Breakfast was decent but not as much selection as most best westerns. Room was dirty, particularly the bathroom. Good location. Dear Adam, While we are pleased to hear that our service was a highlight of your stay, we are sorry that you experienced a lapse in housekeeping diligence. We aim to uphold the highest of standards in regards to cleanliness and we will be sure to use your feedback to do better going forward. In the future, please reach out to our team to allow us the opportunity to provide more suitable accommodations. All guest feedback us used to continually improve, and we welcome any suggestions as to how breakfast would have better satisfied you. Thank you for sharing your comments with our team and we wish you happy and safe travels going forward. Accommodations were above average with a special note to the breakfast. Thought the receptionist or night manager a.k.a. Robin went more than out of her way to accommodate my requests. I require some special needs which I choose not to discuss. Although I'm sure at times she became aggravated I know I would have. But you would've never known it had you been in front of her . It's great to hear that you enjoyed our accommodations and breakfast at Best Western Hopkinsville, but even more so, that Robin displayed the accommodating and friendly service that one can expect at our property. We'll be sure she receives your accolades! Thank you so much for being our guest, and please come again if your travels bring you back our way. We thought initially that it would be great and the location was, but that was about all! The carpet was so filthy, our feet were black, our keys only worked half the time, areas of the room had not been cleaned in ages, and the room was small. View was not good, but I am not sure there IS a good view there. It is close to restaurants and WalMart. White bedspread was stained when we arrived and I left it on the floor in the morning so they would give me a clean one and they simply picked it up off the filthy floor and put it back on my bed. Not good. Dear Rhonda, Thank you for notifying us of your experience. We regret to see that your stay with us did not meet your expectations due to some apparent issues with cleanliness. Although our rooms undergo regular cleaning, we will devote extra attention to the accommodation to ensure that there are no issues. In the future, please direct any questions or concerns to our front desk team so that we can work our hardest to make it up to you. We will share your thoughts with our housekeeping personnel. When you are back in town, allow us another opportunity to demonstrate our true value! "Great little lady with a smile at the desk"
Our wonderful staff was happy to help you learn about the area! We're so pleased you appreciated their directions, and we welcome you to stay at Best Western Hopkinsville again the next time you're in town. "If I could give it a zero I would"
This place booked cheap on priceline and they had good Savings rates. However the staff was rude whenever I went to the store to grab amenities by boyfriend and his daughter tried to check in so they could get a jump on their showers. They wouldn't let them check in because the room was under my name. Mind you this is 10 at night. The staff was trying to be nice. He could tell we were upset. Went to our room and first thing we see is a bug on the toilet. Killed it and flushed it. Ok it happens still nasty. But then we look on the dresser by the TV another bug, alive also. Pull back the dresser and another bug. So we search the room for more. Another bug by the bed. We had enough at this point then go to call the font desk and the phone doesn't work. Go figure. Needless to say we packed our stuff and were told to refund my card. We went to the La Quinta Inn. It is wonderful. Super nice staff. And awesome new hotel. Well taken care of. Save the money and spend it on something nice. The La Quinta is where you need to go. Dear Bre, Your feedback is appreciated as it helps us improve for future visits. We apologize for any frustration with our check-in policy. It's for everyone's safety. In addition, please accept our apologies for any concerns about unwelcome guests. We'll look into your comments further. It's important to us that all our guests feel welcome and comfortable, and we'll speak with our staff about your comments. If your adventures bring you back to the area, please consider staying with us again. Courteous service and clean accommodations: we aim to please at Best Western Hopkinsville and are thrilled to hear we were successful with your visit. We appreciate your suggestion for a higher toilet. We wish you a speedy recovery and hope to host you again. Many thanks for the five-star review! The room was great and the price was very reasonable. The breakfast was better than most, they even had whipped cream for the pancakes, and real doughnuts. If this location was closer to 24 we'd use it often, but it's a 6 mile detour. Dear Diane, Thank you for choosing us here at Best Western Hopkinsville! It brightens our day to hear that you had a great stay. Cozy and well-valued accommodations are what we do best. Our breakfast team takes pride in their offering and we're happy that it showed! Come back and see us again soon. This is one of those places that is alright for an overnight, but it wasn't what you'd call great. The staff was really lovely though, and there's a lot to be said for that. Starting with the positives, the room was well appointed with a fridge and microwave. The main body of the room was tidy if you didn't look too closely. Breakfast was good. The things that weren't so great were that the drain stopper wasn't attached, so it had to be removed to drain the sink (and it was kind of gross). I couldn't get the air to work comfortably and didn't really have a comfortable night's sleep. Housekeeping could have been more thorough in the dusting department, and we found bottles under the chair. On the plus side, my son also found 45c under the furniture. The lighting was cold, and the bathroom light was flickering in a way that was reminiscent of images of the Bates motel. That sounds horrible, but it really wasn't that bad... nor was it really that good. It was a box hotel that could use some spiffing. We appreciate you taking the time to share your valuable feedback regarding your recent stay at our property. We're pleased to hear that you had a pleasant experience and that you received such friendly and efficient service from our team, as well as had the opportunity to try our delicious breakfast. However, we're sorry to learn that some aspects of your visit could have been better. Please accept our apologies if you found your room not as clean as it should have been and experienced some issues with the lighting and the air conditioning. Our team is always available and happy to help resolve any problems that may arise during your time with us. We will review your comments with the rest of our team and work together on making improvements. We hope to have the pleasure of welcoming you back the next time you're in the area so we can deliver an even better experience. We stayed here on our trip to Wisconsin. Hotel was clean, quiet and just off the highway. Staff was friendly and breakfast was good. The room was clean and efficient. Would recommend staying there in your travels. Dear David, We appreciate your positive feedback about your recent visit. It makes us very happy to hear that we were able to meet your expectations by offering friendly service and a clean, quiet room. We know how nice it is to have a relaxing place to stay when you're in a new area. Also, that's great that you enjoyed our tasty breakfast and convenient location near the local attractions. Thank you so much for recommending us to others, please allow us to serve you again here at Best Western Hopkinsville. "Needs work in house keeping"
The front desk lady was very helpful but the hotel definitely needs help in the cleanliness of the hotel. Our room had a soda glass on television. There was garbage on the night stand and garbage on the bathroom counter. Thank you for taking a moment to share your thoughts on your stay. While we're pleased you found our front desk clerk helpful and attentive, we're disappointed that your room was not in its customarily pristine condition. Housekeeping will be spoken to, and we will ensure that they do better moving forward. Let us offer you the clean accommodations you expect and deserve next time you're in Hopkinsville! "This Place Was A Pit !!" Nice staff, good breakfast but the hallways were hotter than heck, slow elevator, never took my flip-flops off. Scary shower. Rod came off in our hands. Easy to fall. Stay somewhere else. Dirty carpet. No matter which hotel chain we stayed in we heard slamming room doors. Come on people! Have a heart. Please don't leave for breakfast and SLAM your door. Then return and SLAM your door. Different folks have different agendas, schedules and may also come from different time zones. Please close your doors like there is a baby sleeping on the other side. Have a little compassion. Thank you for taking the time to write this review about your recent stay with us. Our team thanks you for your kind words about their friendly and attentive service, and we are glad you enjoyed your delicious breakfast. However, we are terribly sorry your stay did not live up to your expectations. We appreciate your feedback, and we will use it to help us improve. It would be wonderful if you would come back and stay with us again and allow us the opportunity to provide you with a better visit. During our recent stay.. the front desk staff was wonderful....HOWEVER, the hotel recently changed their door locks... we got COMPLETELY locked out of our room until the OWNER came to property to figure out how to get in our room... the master housekeeping keys x 4 did not work. The front desk staff was not privy to how to get in. I expressed my concern for medical or other issues.... if a true emergency occurred I hate to see the outcome... we almost missed our baseball tournament because we couldn't get our gear out. Thank you for sharing your review. We are again very sorry for the situation with the locks. Our maintenance team is working hard to make sure that it does not happen again. You were right to be concerned and we are glad that you were still able to reach your tournament. We would be honored with a future opportunity to serve you so that we can make it up to you for our shortcomings. Property is very accessible to freeway. There is eating establishments close by. Staff was very friendly and accommodating. It needs to be remodeled as it is starting to show it's age. Breakfast was good. The bed was very comfortable. We were just passing through on our way back home so just stayed the one night. Would recommend this motel. We truly appreciate you taking a moment to share some thoughts on your recent stay here at the Best Western Hopkinsville Hotel. It's a delight to know that our convenient location, comfortable beds, and friendly staff were a few highlights of your visit. We'll be sure to consider your comments as we continually touch upon our guests' accommodations, and we look forward to delivering an even better experience should your travels bring you back our way. I have stayed here twice while traveling on business. It is a great hotel for the money. The rooms are clean and confortable. The wifi is excellant, easy to connect to and fast. The breakfast bar is excellant. The staff is friendly and helpful. I will be back when thru Hopkinsville again. Dear William, Thank you so much for being a repeat guest with us here at Best Western Hopkinsville! It pleases us to see that you enjoyed our clean rooms, reliable WiFi, excellent breakfast, and friendly service. We're grateful to know that you'll be returning in the future, we're already excited for your next visit. This hotel was clean, tidy, easily accessed and had a great breakfast - including eggs, sausage and biscuits and gravy (among other items). The front desk upgraded our room to a suite at no charge. They were also very friendly when we needed new batteries for the TV remote and help finding a local pizza joint that would deliver. Definitely a wonderful stay. Nothing makes us happier than hearing from satisfied guests, and we thank you so much for taking the time to share your thoughts! From our well-kept facilities and plentiful breakfast options to our fantastic team members, it was our joy to make your visit to Best Western Hopkinsville as delightful as possible. We'd love to offer you another full-value stay should your journey bring you back our way! The hotel looked a little dusty but once we got inside the room it was ok. The front desk clerk was nice and he gave us extra towels upon our request. Slept ok but I could hear people outside our door being loud. Dear Donna, Thank you for taking the time to provide us with some helpful feedback. We're happy to hear that we were able to provide you with a comfortable room and friendly service. We apologize about any noise you experienced from your neighbors. In the future, please feel free to contact our front desk so we can address such issues immediately. We truly appreciated the chance to be your host and would be delighted to serve you again. We enjoyed our stay. Nice clean room very friendly staff. Plenty of restaurants nearby to eat at.Housekeeping department helped us with getting into our room. The only bad I have to say was both ice machines were out of ice both days. Dear Mike, It sounds like you had a terrific stay with us here at Best Western Hopkinsville. Thank you for your excellent review! Our team is thrilled to have made a positive impression, and we're happy that our location was perfect for your needs as well. We'll take a look at the ice machines to make sure everything is up to standard. Come back and visit us soon! I have stayed at this hotel many times over the last 20 years. (4 or 5 times a year) It is safe, quiet and convenient. The staff has always been very nice and helpful. It is very close to Interstate 24 and about 10 miles to Ft. Campbell, 15 miles to Clarksville and 70 miles to Nashville. Dear Linda, We are honored to be your destination of choice here in the area. Thank you for your kind words! Our friendly and welcoming team is always delighted to see a familiar face. We look forward to continuing to share the convenient comfort that you deserve. Come back soon! "Good clean hotel with comfortable beds." I only stayed one night, but was not disappointed. The hotel was clean with comfy beds. The pool area and hot tub were in good shape also. The breakfast wasn't bad either. There are a few restaurants close by also. Wow! We appreciate the five-star recognition and kind words about our clean accommodations, well-maintained amenities, and scrumptious breakfast at Best Western Hopkinsville. It was a delight to have you on board for one night, and we hope to welcome you back again soon! After driving 11 hours we finally made it to our destination at 2AM. I had stopped at another hotel hoping to get a room for us. They were booked. The clerk helped and called three hotels and they were booked. Best Western had a room for $89.00. The clerk asked since it was a late check-in could they offer a break for the first night of two. Thank goodness for us we were given a......$10.00 discount yay for us! I accepted it and we drove the short hop skip and jump. My fist impression of the hotel was yuck. The front entrance had pull doors not automatic so pushing the cart in required two people. The clerk was just okay. I asked how old the hotel was and he stated 20 years but had renovations 8 years ago. I was hopeful. I told him we were in town for a family medical emergency and had to be at the hospital at 5AM. No response....okay. Walking down the long hall towards the elevator the hall seemed dark and there was a slight smell. Up to the third floor and immediately we were greeted with HEAT! The short walk was unpleasant. We opened our door and we were greeted with a very hot room and that awful smell. Sadly after a while you get used to it... a little. The room must have been skipped because it was dated more than 8 years. It took a while for the room to cool down. As we came and went the hall was always hot. We looked at the wall thermostat and it was set at 86 degrees.....at least that's what it displayed. No wonder. On our checkout day housekeeping came by around 9:30AM. Really? She apologized but said we didn't put out the tab to "not disturb". She again knocked at 10:40.....checkout was at 11:00. Breakfast is what you would expect. As we were checking out the maintenance workers ( I guess, none were wearing uniforms or name tags) were either drying the hall carpet or circulating the smell out as they had a couple of fans blowing. No one spoke....they just stared. I guess you get what you pay for. Would I stay here again? Sure.....if it was my last option. "Convenient to the parkway and avoiding Nashville p.m. traffic!" Arrived without a reservation about 9 p.m. and was offered what we considered an OK rate with AAA. It was a very quiet room, something we find rare in any motel. Interior hallways which is a plus for security and adequate parking surrounding the exterior if you are paranoid about not seeing your vehicle from your room (as we are on occasion). Friendly staff and a substantial well-stocked breakfast that is carefully monitored. Perfect location if you are traveling Highway 41 from points North through Terre Haute/Evansville then through Nashville and wish to stop before dealing with afternoon rush hour traffic in/around Nashville. From our ideal location to our wide-variety of breakfast items, it's wonderful to know we provided the positive experience you were hoping for as our guest at Best Western Hopkinsville. Thanks so much for leaving us a review, and we hope to host you again next time! Stayed for 3 nights. Check in was quick and easy. Hotel clerk friendly and offered dinner suggestions were you could get a 10% discount by staying here. At first glance the room was clean and the beds were comfortable. However, when I looked at the bed base under the covers there were a lot of crumbs. Obviously, the staff had not cleaned under that area. Also, the coffee maker was full of calcium deposits. I returned it to the front desk, and it was replaced. I left a note for housekeeping to let them know about the dirt and it was cleaned while I was gone. I had no trouble with the wifi. There was no channel guide so you have to do a lot of surfing to find where the channels are. Breakfast was serviceable for the price. Waffles, scrambled eggs, sausage, bread and sweet rolls, cereal and instant oatmeal. Even though the oatmeal was instant, they did have raisins, almonds, walnuts, and granola to place on it. The dining area was clean. For the price, I would probably stay here again. They did match the trip advisor price! Thank you so much for taking the time to share your recent experience with us at the Best Western Hopkinsville! We're so happy to hear that our value was ideal for you. We appreciate your feedback regarding the cleanliness you encountered and will use your comments to improve our facilities. We would love to see you again next time you are in Hopkinsville! This hotel needs some TLC and a few updates. Check in was quick. It was OK for the price. It was bug free contrary to other reviews. The hotel ran out of towels, which was very inconvenient. The room also had an unpleasant odor that perfume couldn't mask. Next time we'll pay a few more dollars and stay at the Holiday Inn. Thank you for choosing to be our guest. We regret to hear about the issues you experienced at our property and appreciate you bringing them to our attention so they can be addressed. We would love an opportunity to deliver a more satisfactory stay the next time you are in town. My wife and I stayed here on after a long day/night in Hoptown. The room was comfortable and well-kept. The wi-fi was a bit slow to connect, but once it connected, it stayed connected with no issue. Our stay would have been unremarkable if it weren't for the outstanding service we received from Kristi at the front desk. She made sure that we got points on our rewards card for our stay, even though we didn't have the card on us or even know our number. She took great care of us and make our check in enjoyable and smooth. Dear Jason, We were happy to provide you with a comfortable, inviting place to rest after a long trip. Our amazing staff works hard to ensure our guests have everything they need and Kristi will be particularly proud you mentioned her efforts. It's unfortunate the WiFi was a bit slow to connect, but we're glad that was the only issue. If your adventures bring you back to the area, we'd be pleased to host you again. My family and I were traveling the 68 yard sale Route through KY and decided to stay at the Best Western Hotel in Hopkinsville KY for a nights rest. We rented 2 rooms 331 and 333 and as soon as we opened our doors to each room the smell was horrible like a chemical smell it took our breath away and made us cough throughout the night and then 1 room the faucet came off and the bar in bathtub was not connected to wall. I told the clerk and she said she was sorry and they couldn't leave doors open to air out rooms. We had to endure it that night because most rooms were gone dued to the 400 mile yard sale. Breakfast bar was good also pool closed and no sign on billboard stating that. We welcome and appreciate your feedback on your recent visit, and we take your concerns seriously. We are terribly sorry to hear that you were troubled by the smell in your rooms, and we will investigate this matter to ensure that it does not happen again in the future. In addition, we will have our maintenance team address the issues with the sink and tub that you mentioned. Once again, we apologize that we were unable to provide you with the type of experience that we always aim to provide, and we wish you and your family well on the rest of your trip. We were going to stay overnight in Paducah on our way home to Illinois, but an unexpected flat tire changed that plan! Not wanting to travel very far with the donut spare tire, we found that Hopkinsville was our closest and best option to get our tire repaired, eat supper, and find a hotel. We found this Best Western right across the street from Walmart. Finally some good luck. We were greeted warmly by the young man staffing the front desk. He offered us a very good rate and a ground floor room. Very welcome to a couple of tired, stressed out travelers. The hotel is nicely and tastefully decorated. Our room was quite comfortable with all the expected amenities. Only problem was no hot water in the evening. Had hot water by morning so was not too much of a problem. Very nice breakfast area with the usual hot and cold offerings. It is nice not having to go find a place to eat breakfast. Husband was able to eat a nice breakfast before heading across the street to Walmart for the tire repair. The attendant kept everything well supplied. Bacon was cooked just the way I like it! Thank you for stopping in with us! We are glad that we could provide the comfortable convenience that you needed during your car troubles. Our goal is to help every guest feel well cared for so that you can focus on relaxing and it sounds like we did just that for you. Thank you for highlighting the breakfast as well! We're happy that everything worked out and we would love to serve you again when you are back in town. We were taking our Australian friends to Nashville, TN after visiting with us for a week. We decided to stop at Hopkinsville after a long day in Southern Indiana and this would give us a break before driving into Nashville so they could catch their tour group. We chose the Best Western at Fort Campbell Blvd in Hopkinsville and were very pleased. The location was very clean and quiet. The staff was excellent from the young lady that Welcomed us that first afternoon (abd second day). We met our maid and another couple while they were on a break, they did a great job as well. The young lady at the desk even helped our Australian friends with understanding the rates and any discounts available. The price was very good. Our rooms were immaculate and we heard no outside noise even though we were close to the Pennyrile. We felt very safe staying at the location. The Seven Sister Roses located along the side of the building were in full view and smelled divine. We ran short on our shampoo and a couple of other toiletry items and the staff provided them for us. The next morning a breakfast buffet awaited us with eggs, sausage, biscuits and gravy as well as dry cereal, hot cereal and the best waffles. The hostess that morning kept the serving dishes full and hot. Bless her heart she even made my waffle for me when I couldn't get the hang of the machine. The location was near several places to eat and shop. We were so impressed that on our way back from dropping our friends in Nashville we decided to stop and stay a second night with the Best Western Hopkinsville, Special kudo's to the staff for a job well done. PS: The breakfast the next morning was equally great. What a wonderful and thoughtful review to read! We are honored to have been able to host you and your friends from Australia during your recent visit, and it thrills us to know that you thoroughly enjoyed your stay with us. From check-in to check-out, we do our best to ensure that all of our guests' needs are attended to, and we are glad to hear that you enjoyed our clean rooms and found our staff to be friendly and helpful. It truly puts a smile on our faces to hear such kind feedback about our hardworking staff, and we will definitely be sharing your thoughts with the team. We are also glad to hear that you enjoyed our breakfast. Thank you very much for choosing to return for a second stay, and we hope to see you again in the future! "Friendly, helpful and clean hotel"
Thank you so much for considering to stop at our hotel while you were traveling through the area! We're so happy to hear that our staff was friendly and extremely helpful to ensure you had the best stay with us possible! Isn't the breakfast delicious!? We're glad it offered a great start to your day, and we can't wait to have you back next time! "Great, convenient place to stay"
My company has a construction project ongoing at the base at Fort Campbell, and this Best Western is very convenient to that location. I have stayed here before, without any issues. I particularly enjoy the breakfast, as the convenience of not having to leave the premises, to at least get coffee, saves time for me in the mornings. Dear Shirley, It is always nice to welcome friends and familiar faces, so we are honored that you have chosen to stay with us here at Best Western Hopkinsville while you are in town for your construction project. We feel it is important to have a fresh and convenient start to the morning, and we are glad to hear that you made use of our breakfast and coffee offerings to that end. Thank you very much for leaving us with your feedback, and we look forward to continuing to serve you. We stayed one night while traveling through the area. Everyone was friendly and helpful here. Every single employee we encountered greeted us with a smile and said hello. The room was very clean. Bed was comfortable. Good water pressure in the shower. Pretty good selection for breakfast including hot food choices. We would definitely recommend. We couldn't be more delighted to hear about your amazing experience with us, thanks for leaving some detailed feedback about your recent visit. It's so nice to see that we were able to provide you with a clean and comfortable room and that every single member of our staff treated you with the respect you deserve. At Best Western Hopkinsville, nothing is more important to us than customer service, and we love reading your kind comments. Also, thanks for letting us know that you enjoyed our nice breakfast options and amenities. Again, we're grateful for your business and would love to invite you back for another visit! We loved having you! It is truly a blessing to receive your recommendation and we're delighted to have exceeded your expectations. As you described, our accommodations stand out with our attention to detail and added amenities like our outdoor areas. 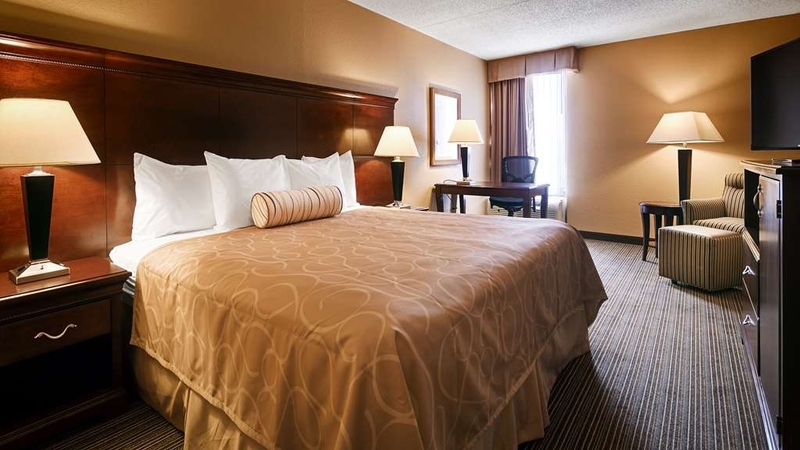 For another clean, cozy, and convenient stay, look no further than Best Western Hopkinsville! "Frequent business trips to Hopkinsville"
We frequently travel for business. When in Hopkinsville we always stay at Best Western. The staff is friendly and helpful (this can be difficult to find these days). The rooms are large and comfortable and I enjoy the variety of breakfast options. We stay for a week at a time and it's nice not to have to eat the same breakfast each day. Dear Robin, We're honored by your continued loyalty to Best Western Hopkinsville! Knowing that we've consistently delivered the spacious, comfortable accommodations, friendly assistance, and tasty variety of breakfast selections you expect from us. We can't thank you enough for your wonderful review. Our team looks forward to your return. Average overall experience. . Dusty furniture, everything else seemed clean. Very average breakfast. Very decent price however for location and overall experience. 10% discount to 4 near by dining choices. Dear Charles, Your feedback is valuable to us as we always look for ways that we can improve our service. 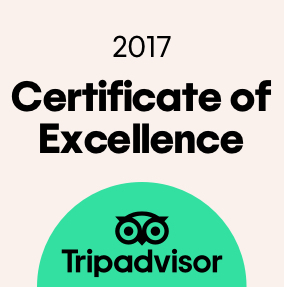 It is always our goal to provide a high-value experience for our guests, and we are glad to hear that you appreciated our price point. Our housekeeping staff will be notified of the need to dust the furniture in your room. Thank you for leaving us with your feedback, and we would love to host you again in the future. I had to stay in Hopkinsville ky on business for a night and the best western was the right choice for me. It was quite and it was a great location for me the staff was friendly and helpful . rooms were clean and comfortable. I would recommend this hotel to everyone. Thanks for the hospitality. Marshall Robertson. Dear Marshall, We hope that you had a great business trip in the area and appreciate you choosing to stay at Best Western Hopkinsville. We enjoy reading feedback from our guests and would like to thank you for taking the time to write a review. We're very happy that our location worked well for you and that you found our staff to be friendly and helpful. We really care about our guests and love knowing that you felt appreciated by here. Also, thanks for letting us know that our rooms were clean and comfortable, we'll forward those comments to our hard-working housekeeping staff. Again, we appreciate your thoughtful review and would love to have you back if your work ever brings you back to the area. During a roadtrip our vehicle developed brake problems so we found a hotel near a repair shop. This Best Western is an older hotel but seems reasonably maintained. Our king size bed was comfortable,room was clean,bathroom was large with a wonderful shower. The desk staff were friendly,efficient and very helpful. The only downside to this establishment was the breakfast, it was very limited and not refilled as needed. Dear Margaret, Our team is very sorry that you experienced car trouble and appreciated the opportunity to serve you as the issue was resolved. We are pleased that you found our accommodations clean and our service friendly, but apologize that our breakfast offerings did not meet your expectations. We will be sure to keep your feedback in mind and hope to serve you again under better circumstances in the future. the 2 rooms were very dirty, the workers seemed like they didn't know how to do their job. There was no manager, They didn't tell you about the services they provided, there was no book in the room explaining services. hmmm...where to start. Plastic sheets, uncomfortable bed, an untrained receptionist. Don't show up between 12:00-2:00am or she'll just tell you to come back later because the computers are running their reports and she can't check you in. Ants in the room, crap food. "Bugs made for a terrible evacuation trip"
We had to evacuate due to Irma and ended up in Hopkinsville. While there we stayed here at the Best Western. Overall it was a decent hotel with a decent breakfast. What you would expect from a Best Western. We stayed a few nights and each morning my daughter woke up with bites on her. I thought that she was getting bitten outside in the grass, but than on our last day she had 2 dozen bites just on the upper half of her body, and my husband and I realized we had some also. If she was getting bitten outside we would have thought they would have been on her legs also, but they wernt. I called the hotel and asked the Manager to get me a report from a licenced pest inspector, and of course I havnt heard anything since, and have left messages for him to call me, and nothing. After reading numerous reviews from arround the same time about others getting bitten, im thinking we had a bug problem in our room, but have nothing to go on. I understand that bugs can happen, but the lack of response and care is really dissapointing. Losing faith in my Best Westerns! The gal at the front desk attempted to be helpful, but could use more training with multitasking. Internet service was slow, so we couldn't work from the hotel and no one seemed to know how to fix it. Rooms were clean and comfortable. Glad that we chose best western! "My arm was a smorgasbord"
"Seriously in need of renovations "
We have stayed at this location yearly since 2012. We stay there as this is the host hotel for an event that we are hired to work at. Each year the place deteriorates more, with little to no visible improvements. Our room (128) was very musty smelling and the carpet was wet in the entry between the door to the room and the restroom door. There was a fan out in the hall across from our room, which I assume was trying to dry up additional wetness out in the hall. Air conditioner could not seem to cool the room. Bed was horribly uncomfortable. The bed and linens were clean and the staff was pleasant, but the room overall needs serious freshening. The location is great, but I would not suggest this hotel until some renovations take place. "Good basic hotel. Friendly service"
The hotel itself feels very average, and in needs of some love. But the front desk staff was always friendly and helpful. The rooms were clean and comfortable, so it worked for us. We weren't looking, or expecting anything fancy. Breakfast was basic but good. "OK hotel provided the price is on the lower side"
I stayed during the solar eclipse so the prices were very high. At most times I hope the prices is on the lower side because that is the value of this hotel. The rooms are small, ours was missing bulbs in the lamps making it hard to see even in a small room. Breakfast choices were very poor especially at the prices they were charging us. It felt rather disorganized. Elevator squeaked and jerked alarmingly thank goodness its only three floors so if it falls it wont be too much of a smash. Corridors reek of tobacco smoke as the smoking and non smoking rooms are mixed together in the hall. Halls are festooned with ‘glade plug ins' to try and reduce the smell. Rooms are nice and comfortable enough. Its not a bad hotel as long as the price is right. We were there for the total eclipse. The staff could not have been more gracious. The breakfast was extensive. We weren't even hungry for lunch until 3 pm! The rooms were very comfortable too. Thank you to all the staff!!! "Unbelievably bad service, since 2012!" We booked a reservation (two room, $79 and $89) for the eclipse in Sept. 2012. We got an email confirmation. We called once a year to confirm. In 2016 they said they 'lost' the reservations, and the rate would be $199 per room. We eventually agreed. On Aug. 15, 2017, five days before the eclipse, they called to insist on $499 per room, plus two night minimum, so $2,000. They've been impossible to reach, obstinate, inflexible and rude. We are five adults who travel widely, and we will never stay in a Best Western in the future. The sheets were stained with hand prints that looked like they had eaten a bag of cheetos before hand. The shower was dirty with dirt in it like it hadn't been cleaned after the people before us stayed there. I am a Best Western Rewards member. I have never had a horrible experience with Best Western. However, the management at this establishment just lost my business and put a tarnish on that record because of their greed (probably from the head office too). I have been looking forward to staying in Hopkinsville for several YEARS for the Solar Eclipse. I tried booking 7 months in advance and even that was not allowed. Then I finally was able to get on a list 4 months early. But they would not book it through the rewards program or allow me to use my rewards points. I'm sorry, why not?? Next, we had to stay 2 nights, and the price went up to THREE HUNDRED a night. I called to confirm and suddenly they had me staying for THREE nights minimum. That's NINE HUNDRED dollars for a family of 6. I'm sorry, the eclipse is free, I will go elsewhere. but I was THEN told they would not let me cancel my room. More than a week in advance and they will not let me cancel my room?? That is completely unacceptable. Thank you, manager of the Best Western. I will be suspending my credit cards so you cannot charge me. That is unscrupulous and unkind. You should EASILY have a waiting list of people to take my place. I will not hold this again Best Western since all the OTHER preperation for our trip so far has been flawless. "Damper on My Trip to the Eclipse experience"
I made an error in on line booking. Even though I never stayed there and inn probably had vacancies, I was charged the entire room rate. I was told this was the decision of the local Manager. Not very hospitable to a senior citizen. He was in the right legally to keep the $90 but should he have? I think not. Family got stranded on dark highway and had to stay at cheapest option. Was told about bedbugs at the only cheaper place, so we stayed here. Most things exceeded our expectations for the price. Bed was very big and comfortable. Room had a couch, coffee table, desk and chair, and other things we are not used to for the price we paid. Service was good. Room was clean. Breakfast was fresh and constantly tended to by staff. If ever stuck in the area again, we will stay here. "Terrible service. STAY AWAY "
"Good try, but in need of refurbishing." I was attracted by their price and online review via the BW website. Pulling into the driveway we were encouraged by the marque displaying "Build your own breakfast." Christi warmly greeted us and subsequently attempted to aid where she could. Getting on the elevator we saw the electronic control panel door open and swinging freely, and the elevator produced a squealing sound. Our assigned room was right behind the elevator and that squealing was just too much. The location of the room was directly against our request to be away from elevators and machines for quietness. Christi did provide us another room and took my notification that the 2nd & 3rd floor ice machines were not working. The "Build your own" breakfast turned out to be slightly better than a glorified breakfast snack with the only eggs being the boiled variety. Everything was well stocked being properly administered to by the desk clerk pulling double duty. This facility seems well built, just in desperate need of modeling. I noted that the rooms were fairly sound proof from guests of other rooms. I was given to understand the new owner had recently taken it over and the previous had neglected the preventive maintenance. AAA+ to the staff, but the facility failed! In town for one night for business. Chose the BW Hoptown because it was the most economical. Easy access from the highway and close to several restaurants. Smoke free and clean room. Bed was comfortable enough and the room was quiet. It is an older property so a little worn. The only real problem was almost all the electrical outlets are loose. I passed on breakfast as it was a limited choice and standard fare. Everything was stocked and the stuff that is supposed to be hot was, and vice-Versace for the cold stuff. Ample parking and a small pool and exercise room. I did think it was odd that the front door didn't have an automatic handicapped opener. Enjoyable stay. Great Value for this hotel - would stay again for a short stay. Staff was very friendly and accommodating. Family reunion was held here at this hotel and was a great place to host meet and greet and time for family around the pool. It was clean, well lighted, free breakfast, swimming pool, friendly employee, nice rooms, ice mechine broke on 2nd floor for 2 weeks, nice size rooms, coffeepots in the room, quite,closet places to eat, shopping close. I had a travel card that was to be applied to my room but no one knew how to do it after it being prepaid thru them. Still waiting on it. Note to self and others:If you have a travel card that you want to use make sure you use it before paying for the room. We started off with the elevator going up to our third floor room. The cover on the electrical panel was open. We called the desk and they said they'd take care of it. Next time we were on it the cover had been taped closed with black tape. Two days later we got on the elevator and the door closed and we saw that the cover was open again and this time nothing worked including the alarm and the emergency phone. So we were stuck in the elevator and no one was around. used our cell phone to call the desk to rescue us, which they did. Desk clerk said they been having trouble with the elevator for weeks and the maids were afraid to use it. They'd send their carts on the elevator and then use the stairs themselves. Our room had some small maintenance issues including a flickering light in the bathroom. The next morning the light was out, we informed the desk and the light was fixed but it was still flickering. Later that night the toilet bowl overflowed and flooded the bathroom. Called the desk again and he said he'd change our room. I had to go to the desk to get a new "key" because he was the only person on duty. The breakfast selection was limited with no bacon or sausage or hot eggs. One morning there was no hot biscuits either. No one seemed to be refilling anything or cleaning the tables. Appeared that this hotel was understaffed when we were there. Desk Clerk could not log my Best Western Reward points when we checked in, said "Internet not working." Rooms were good, but breakfast was out of a lot of items (had gravy, but no biscuits, danish rolls were empty, asked the young lady if she was going to bring out more biscuits, she said "NO", poor quality of items that were on the breakfast. This was at about 0830am. Housekeeping wanted to come into our room even though we had the "do not disturb" tag on the door. More vending machines NOT working throughout the hotel than what were. Overall the hotel was acceptable, but it's "the little things..." Much improvement needed. Eleavator not.working right stayed here last year same.thing locks on entry doors on side enterence didn't lock. Computer in business station wouldn't connect to internet. Wifi connection was poor. Bed was average. The hotel was nice. Convenient to the highway, restaurants and shopping. Rooms were clean. Breakfast was very good. I would definitely stay here the next time I'm in the area. If you are coming to scuba dive at Penny Royal, it is only about a ten minute drive from the dive sight. This hotel smelled and was extremely hot. The room never cooled as the air was turned off in the room when we arrived. I won't stay at this hotel again. I think the building was smoked in for many years and it had a lingering smell. I booked the hotel more than a month a ago and requested a quiet room. however, when I checked in the front desk gave me a room near highway. When complaining about the noise, the front desk did not even care and told me nothing she could do. Very rude and unprofessional. Checked into our hotel over Memorial Day Weekend expected a working outdoor pool found a green disgusting pool. Bathroom sink was clogged and would not drain water. Only three sets of towels for four people. Breakfast was sad. No one replenishing the food or emptying the trash. No plates. Housekeeping service did not clean room or empty trash just left three sets of towels. We stay here twice a year, once in May and again in August. This property has always been clean, the breakfast always hot and plentiful. This time there was a problem with smokers in the rooms. Stars was notified. The breakfast was the same thing every day which was different then the last time I stayed. The last day the person taking care of breakfast had a hard time keeping up. We told her about the juices twice and it was never rectified. Took 5 to 10 minutes to get some more gravey out. But again everything was hot. I am a Diamond Select member at BW and I've never seen a property as dirty as this or with such bad service! There were strange black things in the bowl and no knob on the water in the shower! I didn't find out about the shower until 5:00 am and I was refused a room with a working shower. The whole hotel was dirty and the pool dark green! When I checked out the staff refused to give me a receipt or even let me look at my receipt. They said it was company policy. With hundreds of Best Western stays, I've never heard of such a crazy rule! Avoid this place at all cost! I'm sure they will lose the franchise soon as they are way below Best Western standards!! The front desk workers are nice.1st bathroom smelled like urine, I had 2 buy my own cleaner and I had no bathroom light for 3 days after calling. Next room, 3 days later, had a wad of hair in the floor. Manager wouldn't talk to me about it and lied about a refund. I went there for a wedding in town and it provided me of everything i wanted to have a wonderful stay at a fair and kind cheap price. The breakfast is well served, and the hotel is in a great location so you can go to lunch without needing to drive! The room service was impeccable! As someone who stays in hotels more than I stay home, I'd say this hotel is decent. There is nothing special about it, but that's fine with me when I am traveling for leisure. The location of the hotel is nice; it is near restaurants and close to the main highway. We were here Nov-16, awoke to bad fitted sheets that revealed blood on our mattress. We sent pic's to Best Western and to Trip Advisor when I woke. The owner at that time Mr.Ellis Copeland called my husband and asked us to remove the pictures and we would be compensated on our next visit. So today was our next visit. We found that the property had been sold from Christy at the front desk. She made us feel reassured that nothing is as it was and our stay would be exceptional. And it was, walking in my room I am comfortable and happy. If you have the chance to stop please do, they will treat you like family. Thank you Christy great job. "Excellent Service and A Nice Room"
This was a pleasant surprise. We stayed here for one night and the room was clean, the price reasonable and and customer service outstanding. Clean and comfortable beds and a very quiet environment. I have nothing bad to say about this hotel. It was awesome! I got a good nights sleep and that is what I expect when I pay for a hotel room. Free parking. I stayed here one night for a business trip, the front desk clerk was very nice, he even called the room and asked did it meet my expectations. The room was nice and clean, the staff was very welcoming. After a long day of travel from the Gulf and many traffic snarls thru Nashville, it was a great relief to walk into to the lobby and see a smiling welcoming face. Our stay was comfortable And Breakfast was good also. We arrived around 7 pm. We were immediately greeted pleasantly at the front desk. The rate for an overnight stay was at least $25.00 cheaper than the surrounding hotels. Dinner suggestions were offered as well as coupons. Our room was spacious and clean and quiet. We were on the first floor. Breakfast had several choices. Hot food was hot, cold was cold. The dining room was kept clean, trash emptied etc. considering the gal at the front desk was alone. She was a great at multitasking despite the fact that she was also the one who checked us in last night! The name on our receipt was Kristi , she was a nice lady with glasses. We would definitely stay again. "Good Hotel, economy for money"
Clean and all amenities were in the room that you would expect, including a good WI-FI connection. Floors were clean, Bathroom scrubbed, and tidy, and adequate covers on the bed. Breakfast was somewhat lacking in terms of my expectations, in comparison with other Best Westerns that we stayed this trip, (4) all together. I arrived on a Tuesday and was greeted by a very friendly front desk attendant, Kristy. That was my first impression of the hotel and it was favorable. I found the hotel to be very clean. The breakfast was very good. Love the Whistle Stop donuts. I would recommend this hotel to any business traveler. I like the new branding, logo and colors of the new Best Western, even though this one has not converted yet. However, it is clean, comfortable, with friendly professional service. I would definitely stay here again. trying to sleep, sheets are to worn or cheap to fit on the bed. I look down to see what might be blood stains? And something strange on the sheet. Also the room smelt of cigarettes and thete was a burn on the mattress. "Great hotel. Warm friendly staff. " When we checked in we were met by Erika with warm reception. Erika was also at reception the next morning. Ever so helpful getting the waffle mix machine working when it wouldn't dispense the batter. And even though we came down late for breakfast, she made sure that the food items were replenished so that we did not feel like we were getting the scraps of leftovers. The cleaning staff were also friendly and greeted us when passing in the halls. Our room was clean and the beds were comfortable. Room was a little musty when we walked in, but the ac seemed to take care of the issue after a couple of hours. Night clerk was awesome! Funny and friendly! Room was clean (though did have a slightly musty smell). Room looks just like online pics. Breakfast is supposed to have waffles... One bad thing: sign says yummie... should say yummy ???? I love this place! Very clean and comfortable and convenient to just about anything you would want. The staff are friendly and helpful. The breakfast doesn't have eggs or bacon, but a decent choice of fruits and pastries along with biscuits and gravy. We stayed here for my wedding with our wedding guests! Did not disappoint! Had a little mix-up with reserving a block of rooms, but the staff was very helpful to try and make it work anyways! Would Highly recommend! The lack of professionalism in the staff borders on comical. The Hallways are a furnace. The breakfast bar was like trying to get food in a phone booth. When they had food out. The fast were not very friendly when trying to ask about food and I asked for a trash bag to help out due to the trash can over flowing with garbage. So I would recommend you stay somewhere else. The staff here were friendly and helpful at every turn. I believe the hotel has had some remodeling and updating completed, and may be under new management? There have been many improvements made - great value. The hotel is clean, offers breakfast, and was pretty quiet. I wish the blankets were a little thicker. And the sheets were too big so they kept coming off at the corners. The Internet was down but I think it was due to the storms because once I called they reset it and it worked. Intitially I was having trouble finding the BW due to construction and the location being a block off off the street. Desk agent, Spring, directed me patiently over the phone and the check in with her was smooth. Very nice room. Large as are most BWs. Very nice breakfast. Catching up with and perhaps surpassing HIX and Hampton. In my travels, I find many BWs that are upgrading in what they offer. Pricing is coming along too but still a good value. It was a typically low end Best Western but the beds were comfortable and the TV worked, the lady at the front desk was very helpful and friendly. The room was had lots of room and the TV was good size. Only problem was the construction in front of the hotel it made hard to find. Friendly front desk staff. Felt very welcome. Staff called to check to ensure all things were in order. Offered express check out for the morning. Hotel was clean and well. Updated rooms, with very comfortable beds. Hotel was quiet and restful. Good location, within walking distance to restaurants. "Smooth check in, room as expected, nice staff"
Easy access, smooth check in. Room as expected. Hot breakfast included, sausage gravy and biscuits, waffles, fruit, yogurt, cereals, watered down juice. In the afternoon they had a popcorn bar which was fun for the kiddo. The second day, in spite of calling, no one turned the room over. They said they would add a room credit but then didn't as I had paid in advance :( However, the gentleman on that evening did bring us clean towels. Parking and check out was easy. Arrived at check-in. Big blowers were running in lobby and hallway. I asked the front desk clerk, "did you clean the carpets?" To which she replied, "No I didn't clean the carpets." No explanation or apology was made for this condition. Then I was told no room was ready for me. The clerk explained she would go upstairs and check with the cleaners. She returned in a while. I waited and waited. A different clerk took over and told me a room had been cleaned but it was not what I requested. I said I would leave and be back. I came back 1/2 hour later and was told a room was ready. I was given the key and when I arrived the door was propped open. That scared me. I entered and the room looked clean. The next day I left for several hours and returned about 3:00pm. The room had not been cleaned, the bed was unmade, coffee was not replenished etc. The free breakfast was no good. The coffee tasted like instant and was lukewarm. The orange and apple juice tasted like water. Most hotels offer eggs and a meat. There was only cold boiled eggs for protein. The elevator was creaky and shaky. The feeling was that it would break any moment. I will not stay there again. We checked in, in the late afternoon. The young lady told me she had only been working for a week and this was her first night by herself. She also told me they were switching from one system to another and she didn't know how to change some of my information over. Didn't give me warm fuzzies. She also made a copy of my card onto a paper that I hope was shredded when she figured out what she needed to do. She did give me a upgrade, which was nice we enjoyed the extra room. I have stayed at this property before and am still very impressed. We were on the second floor and it was very quiet, the room and bathroom were very clean as before. The property was well maintained. The pool was clean and clear. I will stay at this property again. We checked in late to rest before heading out early the next morning. The front desk help was friendly. She reminded us that there would be an additional $200 charge per night ($99 room) if any of us smoked in the room. This wasn't an issue since none of us are (or ever were) smokers but I found it odd considering the room had a bad odor. Not cigarette smoke incidentally but more like mildew, age and general poor cleaning. I'm not sure what a $200 cleaning job would accomplish when there general standards can't cost much more than $6.50 but I found myself wishing the previous guest had smoked in there if it meant we'd get a cleaner, more fresh smelling room. We were told there was wifi however none of the 4 of us could connect anywhere other than the lobby-even with the password given to us. Breakfast the next morning was included but not necessarily enjoyed. On a plus side there is a Starbucks across the street. friendly service,comfortable rooms and guest areas and a good price...what more could you ask for!! A taste of the old south but with a modern curve that makes you want to stay longer and learn more about the area. Our hostess was an amazing Lady who just made us feel so comfortable and kept us listening to her stories about the area and the people. Loved it..thankyou,thankyou..
We arrived at the Best Western after being on the road 2 hours later than expected because Orbitz unexpectedly cancelled the hotel we THOUGHT we'd reserved in Paducah, so we arrived late and tired. I'd noticed that the Best Western app didn't show a Fitness Center in the listing for this hotel, but it did have a pool and I thought that the omission of a fitness center was accidental. I was wrong. It was under construction and although they'd made arrangements to use a fitness center a short drive away, it was 8 PM and the last thing I wanted to do was get in the car again. What about the pool? It was outdoor and not open yet. Good thing the weather was pleasant- I went out for a long run and felt much better. The room itself was fine- as nice as most of the places we stay and considerably cheaper (under $90 with tax). It had a refrigerator and microwave, but we found the lack of a channel listing for the TV frustrating. Since it was about 6 miles off of I-24 there was very little road noise. The hotel is in an area with many major restaurant franchises, including Applebee's, Starbucks, Logan's Roadhouse and O'Charley's. Some offer 10% discounts if you're staying at the BW. Applebee's is within walking distance, and I suggest you walk because their parking lot has bad potholes! Good selection of food at breakfast. We left considerably more refreshed that we'd been on arrival. I would, however, suggest that the hotel listing be more explicit about the fitness center being under construction and the pool being outdoor. Good accommodations located by numerous restaurants. I have stayed there the past 5 years and have never been disappointed. It does not have a pool if this is an issue for you, but it offers up clean and comfortable rooms in quiet location. Nice breakfast. Best Western in Hopkinsville, Kentucky was not an outstanding experience but the establish was clean, beds were comfortable, wi-fi worked,however, breakfast waffles were spoiled; inedible. Did not receive the extra blankets we requested. Would stay again, good location with easy access, good parking, good breakfast, good courteous and helpful staff. Other amenities available and convenient such as fuel, Walmart and other restaurants and shopping. for the money compared to other hotels in the area. this was the best choice for me. I will be staying here every time I am in town. it was very quiet an d peaceful. it is convenient to shopping area and restaurants. I was very satisfied with my stay. Great stay and great staff. They really took great care of us. Room were clean and well attended. Excellent value and couldn't have been happier with our stay. I would recommend this hotel on your next trip to Hopkinsville, Kentucky. Stayed a few nights here, the room was nice & clean, breakfast typical, cereal, yoghurt, hard boiled eggs, sausage or biscuits and gravy. There were enough entrances that the long hallway shape of the building is not a bother. The staff were friendly, and the location is convenient to restaurants, stores, etc. I would stay here again. "Great but for the internet!" Great staff, good breakfast. Restaurants of all kinds nearby. The internet in my room which was about as far as you could get from the lobby was unusable but everything else was great! Was in town for business at Fort Campbell and it was close to the facilities I needed to visit on post. I stay frequently at the Best Western Hopkinsville Kentucky. It's a very clean and quiet Hotel. I am very particular about my room.. And they have a very good house cleaning staff.. And the lady that takes care of my room ,Amanda bock, always goes above and beyond to make sure that my room is clean and fresh and well supplied and I can't say enough good things about the way she takes care of me whenever and I'm staying in town.. never once has she ever let me down on getting my room just the way I like it.. My company gives me many choices on the places to stay whenever I'm doing my business.. & I always go back to Best Western Hopkinsville because of the staff.. and Mr Copeland is a very fine owner.. And is always very courteous.. Booked this hotel at the last minute and arrived late at night. The desk clerk was a little intense and less-than-friendly, but efficient. The hotel lobby is beautiful. The room was exceptionally clean and beautifully decorated. Appreciated that the hotel is pet friendly. Was put in a "pet friendly" room on the first floor near the exit, so it was easy to take the dog outside. Grabbed breakfast quickly the next morning - yogurt and cereal. Did not try the hot foods, but they looked delicious. My experience with Best Western chain has been across the board - sometimes great, sometimes not-so-great. This one exceeded my expectations. Overall, a very good stay! Great place, great service. Had a fridge, large room, comfy bed, big TV, fast internet. and a great location. The price was good as well. The staff was helpful. It was everything I needed and then some. "Nice place to stay, but the desk clerk was brusque"
The hotel was clean and up to date. The room was comfortable and nice, albeit a little small. My only real complaint about this stay was the desk clerk was very brusque. I don't know if he was having a bad night or what, but he wasn't very welcoming. But I would stay at this hotel again. Upon arriving, the musty smell of the lobby should have been a clue as well as the carpeting from the 70's era. I was here on business and all other hotels were booked. (another clue) When I entered the room it was about 77 deg so I turned on the AC, it was abnormally loud and took nearly two hours to bring the temp down to 70. Sleeping was nigh impossible with the noise of the AC and flat pillows. The bed was ok but not what I'm used to in all other hotels I stay in. he next morning I leave the AC on at 70 so the room will be cool when I come back that evening, but when I arrive back, the room is at 78. The cleaning people turned it off that morning. I complained to the clerk who promptly informed me that it was the owner's policy to turn off the units. Basically they save around $1.68 per day on avg for the dis-comfort to the guests(I'm an electrical engineer so I did the math). I will never stay at this MOTEL again, I'll sleep in my vehicle first! This hotel and like finding a diamond in the ruff. Should be rated a five star property. Everything perfect and well thought out. Staff very welcoming and it's the best breakfast display ever. Certainly will plan our next trip around this location. My family and I stayed at this location on our way back home, after attending a special event at Murray State University. The poor night shift manager, had just arrived for his shift and discovered several problems, leftover from the day shift. He was a trooper in solving these issues (which could impact guests), while managing arriving guests for check-ins, such as my family. The room itself was comfy. Same with the beds. I liked the larger bathroom and the shower head was awesome. The AC worked wonderfully. We slept well. The bathroom exhaust / fan needed some TLC. I think it was on the brink of breaking-down. I do wish the full breakfast had included more items (like scrambled eggs, bacon and/or sausage). But that's just being nit-picky. Check-in and out was a breeze. They were helpful telling us about getting $25 for staying at 2 hotels. the room was well lighted and comfortable. We were promptly greeted and directed to our accommodations . We had a restful night. Breakfast was very satisfying was very satisfying and healthy. we checked out in a timely fashion. We had just finished exploring the Shawnee National Forest and were on our way to Mammoth Cave. It was late and we were tired as we were going through Hopkinsville, KY and decided to take a chance at this Best Western as it looked nice on the outside. The receptionist was exceptional. Very friendly and helpful in answering our questions. He even asked if I was a veteran, which I am, which qualified me for a discount. The room was clean, the bed comfortable, good TV, and good WiFi. An added feature I liked was that the AC was quiet. The fan continued to run which I like and you could not tell when the AC turned off and on which kept the room at a very comfortable temperature. The next morning at checkout I was greeted by one of the friendliest staffs I've ever encountered. They even gave us a parting gift bag. The rate was good and the value was priceless. I definitely recommend this hotel. I travel for business all the time so when I find a gem that feels a little more like home I keep it on the radar. This hotel is more than just clean it's comfortable, quiet and seems to have higher standards than many I could choose from in the area.